Here are the fun things to do in Barbados in 2019 - a popular Caribbean island - what could be more exciting? 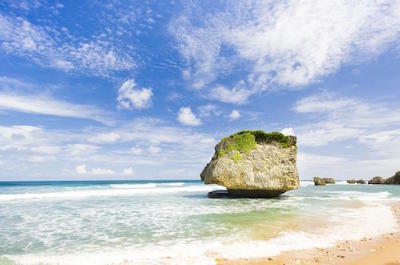 Soak up the sun in Barbados on a glorious white sandy beach. Then set off for an adventure that allows you to explore sunken shipwrecks, hidden caves and stunning man-made tropical gardens. Historians will be thrilled by the historical colonial homes and ancient abbeys. Animal lovers will delight in the wildlife in the Reserve where they can take part in feeding. Water sports is a must in Barbados. Try sailing and fishing, scuba diving or snorkeling. Trips cater for all levels of experience and knowledgeable guides are always available to help. Sample the famous local island Rum and be thrilled at the panoramic scenery around you. Read on to learn what to do in Barbados - activities, tours in Barbados, water sports - take your pick! Barbados is a venue of stunning natural beauty and tours in Barbados are some of the most exciting. From turquoise oceans to lush forests, there are many things to do in Barbados related to nature and wildlife. The 'Best of Barbados Tour' is a full day tour. It takes you to the top attractions and exposes you to the island's lush beauty. 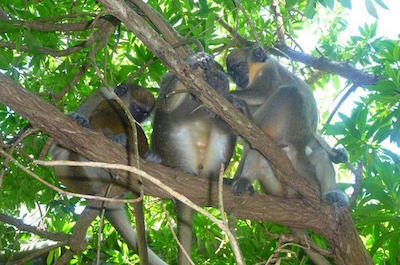 See the cheeky green monkeys roaming in the mahogany wooded Wildlife Preserve. Take fabulous snapshots of the pounding waves along the eastern coast and go underground into the beautiful crystallized limestone caverns of Harrison’s Cave. The trip also includes a boat ride and a swim with the turtles. The 'Half-Day Garden Tour' takes you to three beautiful man made gardens, Orchid World, Hunte’s Garden and the Flower Forest. This is a leisurely relaxed tour where you can stroll through these magnificent venues and savour the unique experience that each garden has to offer. If wildlife is your thing, a tour to the Wildlife Reserve is a must. Here you can get up close and personal with the little agouti, green monkeys, macaws, cockatoos and parrots. Feeding the animals is part of the experience. Being an island surrounded by stunning blue waters, a sailing trip is definitely one of the first things to do in Barbados. There are a huge selection of tours in Barbados, ranging from day trips to evening dinner cruises, sailing tours that allow you time to snorkel or deep sea dive to explore the wrecks. Romantics can sail on a private yacht and sip the famous Island Rum and families can bond on a fabulous day out. Experience a high-speed power boat, a catamaran or a huge ocean-going luxury cruise boat. For something really unique, a submarine tour takes you underwater to admire the magnificent corals, brightly coloured marine life and then descends even deeper to give you a look at a sunken shipwreck. Be prepared to explore the waters of Barbados in many different ways! Snorkelers and scuba divers will find many opportunities for things to do in Barbados. Whether you are a professional or just having some fun, there are numerous trips you can take into the waters. 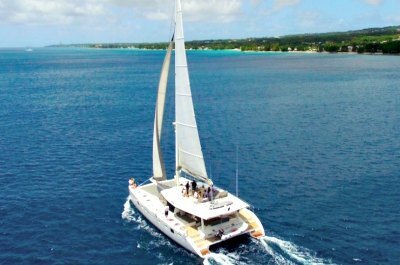 Sail on the Barbados Catamaran that visits three different snorkeling spots. 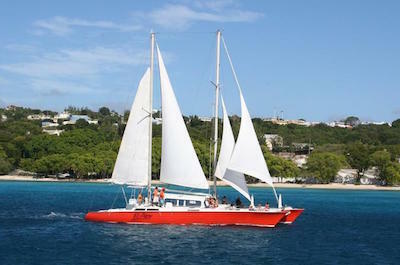 Try the Jolly Roger Schooner and sail to Carlisle Bay where you can scuba dive with the sea turtles. Experience the unique feeling of snorkeling in the evening as the sun sets and then come up to the deck to admire the stars while sipping a cocktail. Many trips cruise over the shipwrecks and you can dive down to explore these ancient vessels, overgrown with corals and hiding age-old secrets. Go with a group, with a partner or with the family. There is something on offer for everyone. Sightseeing on land or from the water are some of the many fun things to do in Barbados.The 'Explore and Discover Barbados Tour with Boat Cruise' is a great start to see all the famous sights. The tour stops at Cherry Tree Hill, 850 feet above sea level. You then travel to the Morgan Lewis Windmill and continue along the magnificent coastline through Catthewash to stop at Bathsheba where you will find the famous surfer shop. The tour continues to St John's Church set on a cliff with spectacular views. Onto the parish of St George, passing the Gun Hill Signal station and the Great White Lion, heading towards the Garrison Historic area. After lunch, you take a boat trip and have a swim with the turtles! You can relax on the beach as you are provided with a beach lounger, umbrella and a complementary drink. The waters around Barbados offer a rich abundance of fish and a fishing expedition is one of the many things to do in Barbados. Try your hand at deep sea fishing, you never know what you may catch for dinner! The 'Barbados Private Deep Sea Fishing Charter' takes you out on a private charter for up to 6 people. Trips range from 4 to 8 hours and suit both professionals and those giving it a try for the first time. The knowledgeable captain and crew will make sure you have a fabulous experience. Alternatively, try a 'Fish and Swim Trip' for the best of both. The trip includes drinks and snacks, while you and sail past the may famous spots on the island. Fish for marlin, barracuda or the local wahoo and try your luck. This is a great bonding experience for families and friends. 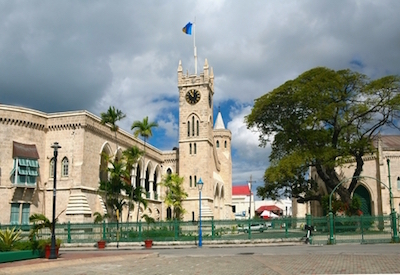 Joining a walking tour is a fabulous thing to do in Barbados. There are many options that will allow you to experience true Barbadian culture while adding this one of the best Barbados activities on your wish list. Start with an historic stroll through Bridgetown where you will see the Parliament House and the famous bronze statue of Lord Nelson. Then tempt your taste buds on a Bajan Walking Tour. Get immersed in history and stop to taste iconic dishes at off-the-beaten-path local eateries. 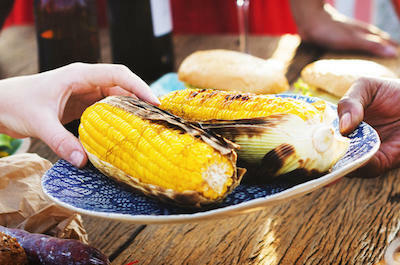 Barbados is a melting pot of culinary tastes that will thrill the most discerning food lover. Nature lovers will be delighted with the Hunte's Garden Walk where you will explore the magnificent landscapes, followed by a visit to Mount Gay Rum Center to end off with a glass of the oldest Rum brand in the world. Food and Rum go hand in hand on this exotic Island and joining a food tour is a fun thing to do in Barbados. Discover the immense diversity of Barbadian cuisine on a walking tour that takes you to hidden-away local eateries. Get immersed in the history, stop at quaint eateries and meet the locals who will teach you about the traditional food philosophy of the Caribbean. If you enjoy your afternoon tea and scones, a tour to the Barbados Rum Distillery will delight with a few shots of Rum, a lesson on how it is made, followed by a scrumptious tea with sandwiches, cakes and freshly baked scones. 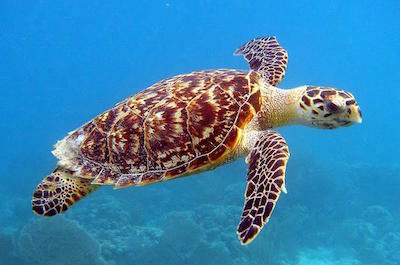 When your family is looking for things to do in Barbados then you should try the interesting Turtle Feed Tour. 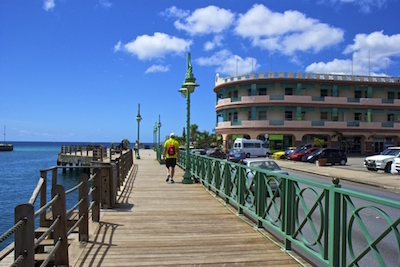 This 2-hour excursion is available several times during the day and begins when you meet your personal guide at the Carinage Dock in Bridgetown. From here you will board a boat and proceed to Carlisle Bay. While on the boat you will enjoy light snacks and cold beverages as well as experience incredible views of the southern coastline of Barbados which include the Barbados Garrison, the George Washington House and the Fishers Complex. When you arrive at Carlisle Bay you will be outfitted with complimentary snorkeling equipment and listen to a brief safety meeting from your guide. Once you are in the water you will be fascinated by these great animals of the sea. Your turtle feed tour continues as you view the unbelievable underwater beauty of the Caribbean Sea as you feed and snap numerous photographs of sea turtles while you swim effortlessly beside these magnificent sea creature. Your turtle feed tour concludes with a short boat back to Carinage Dock in Bridgetown. One of the best things to do in Barbados is to indulge in an awe inspiring Barbados Plantation tour. You will be fascinated by the pristine tropical landscape, historic buildings, natural landscape and the history behind many of Barbados plantations. While on your Barbados plantation tour you can view spectacular plantations such as Sunbury and St. Nicholas Abbey which is believed to have some of the oldest buildings still standing from the 17th century. Many of the Barbados plantation tours include side stops at such fantastic Barbados attractions as rum sampling at St. Nicholas Abbey, Harrison’s Cave, Hunte’s Garden and the fabulous coastline near Bathsheba. No matter which Barbados plantation tour you decide to select, you will pleased with the beautiful tropical scenery, the natural landscape and the history of the island. If you want to learn more about the culture and history of Barbados then you will have no problems finding one that fits your style. Historical and cultural tours are the best thing to do in Barbados that will let you experience the real Barbados from its indigenous roots through modern times. You will be fascinated with the architecture as you walk the streets viewing immaculate churches and homes from many time periods of settlement. 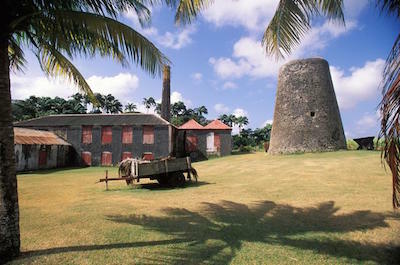 Many of the tours include rum sampling at such fabulous distilleries as St. Nicholas Abbey and Mount Gay. Historical and culture tours on Barbados will allow you to spend time within the island’s premier museums and most excursions offer side trips to gorgeous natural landscapes such as Harrison’s Cave and Carlisle Bay Beach. You will be surprised how much you learn through food, rum as well as the native arts and crafts which are made on Barbados. Even if deep sea diving is not for you, you need not miss out on seeing the amazing underwater scenes that Barbados has to offer. A trip into the deep waters in a submarine is one of the most exciting things to do in Barbados. 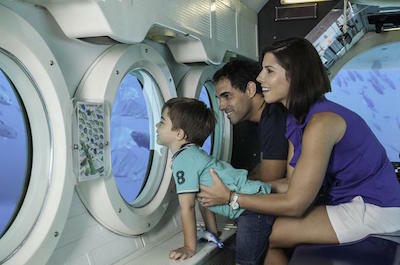 The Atlantis Submarine offers tours for all ages. The trip starts with a short journey on the Ocean Quest out to the submarine. You then board and settle down into its comfortable and luxurious seats. As the submarine dives down you will have the most astounding view of the coral reefs, marine life, sponges and colourful fish life. A knowledgeable guide will give you a talk on the history of the Atlantis and also on the sea life around you. Then, be prepared to dive even deeper into the murky depths and soon a massive shadowy and spooky shipwreck will appear in your viewing windows. Kids will be totally thrilled. This is a must-do experience on Barbados! One of the best things to do in Barbados you can choose is to sail on a Seaduces chartered luxury yacht. You will have an excellent day on the water with this one of the top Barbados activities as your Seaduced captain pulls up the anchor and you set sail. Seaduced has two catamaran-style luxury yachts that offer full day outings for 2 to 35 guests. Seaduced has several options which you can mix and match which include three fantastic anchorages. During anchorages you can experience snorkeling with turtles, swimming in the warm blue Caribbean Sea, paddleboarding, lunch on a private beach and a stop at an exciting island bar. Seaduced can make your own private yacht experience memorable for you and your guests with unlimited drinks and superb cuisine prepared by a private chef. 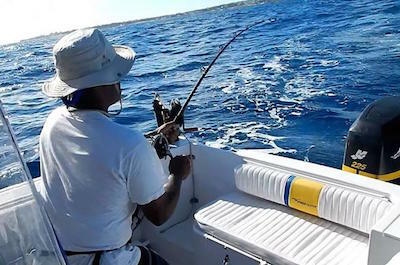 If you seek to go fishing, then this Barbados activity can satisfy that urge with custom powerboats available for parties of 2 to 14 people. Seaduced luxury yachts will let you explore parts of Barbados that you only dreamed of. In the evening, you can choose to dine onboard or anchor in one of the many bays and enjoy a world-class dinner after being tendered to shore.